Breakaway Cycling is a 501c3 charity cycling club and race team comprised of friends and professionals who share a common passion for cycling and giving back to the communities in which we live. We seek to improve our community by using bicycles to give mobility to others; giving them better access to education, recreation, healthcare, safety gear and economic opportunity. The members of Breakaway Cycling believe that bicycles change lives. Therefore, we have partnered with the Clark County School District (CCSD) to help promote safe, simple, and sustainable transportation to and from school. 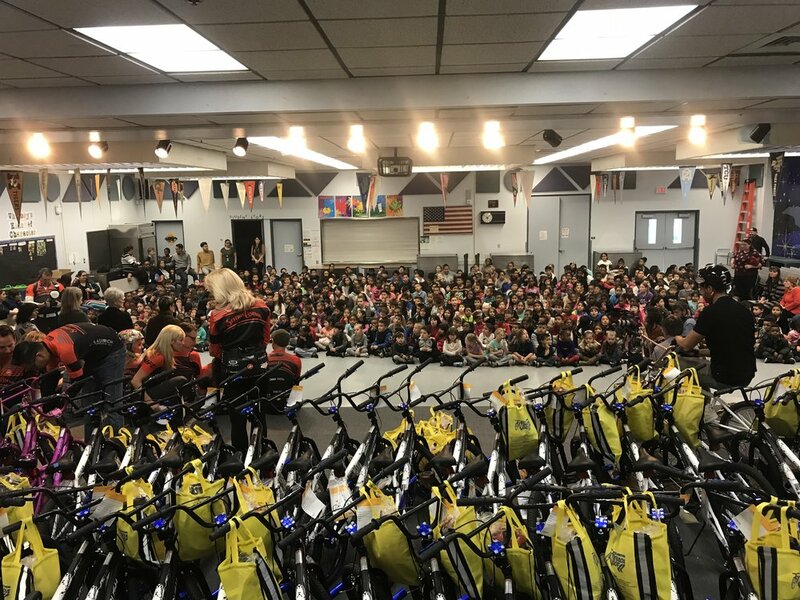 In conjunction with the Clark County School District’s Safe Routes to School Program, members of Breakaway Cycling volunteer their time to promote safe travel between school and home. Breakaway Cycling is committed to donating bikes, helmets, and bike locks to children that otherwise may not have a bike. To date in 2018, Breakaway Cycling has donated 350 + bikes with locks, and 650 + helmets. Breakaway Cycling has directly impacted the lives of 4200 Las Vegas children who participated in our CCSD Programs and Events.